Trends always crop up in movie news, whether they’re based in fact or not. As such, the trend last week was cinema icons announcing their retirement. (Or, in the case of the most famous purported retiree, Jack Nicholson, sources said that he had already retired, then other sources backtracked and said the initial claim wasn’t true. Even though he’s got nothing in the pipeline. So you never know.) Specific to this column, Hayao Miyazaki, the master behind Japan’s Studio Ghibli animation studio, announced that his newest film, The Wind Rises, would be his last. Now, it’s worth noting that Miyazaki has said in the past that he’d retire, but this time, at least, he seems fairly serious about leaving behind the director’s chair. Many words will be written about Miyazaki’s influence and about the great films he’s made over the last 30 years from Princess Mononoke to My Neighbor Totoro. If he’s going to stick to his guns this time, if The Wind Rises is Miyazaki’s final directing effort, then it may be high time to wonder who will take up his mantle of making animation for everyone, not just for kids. Some may immediately think, “Yes, that’s what Pixar does.” (Some of you may be the ones thinking this.) And in some respects, that’s accurate. But what Pixar has not done in the past, and what they should do in the future, is make animation that is not targeted at kids as well as at adults. If nothing else, they need to not make animation for kids first, adults second (even if it’s a close second). 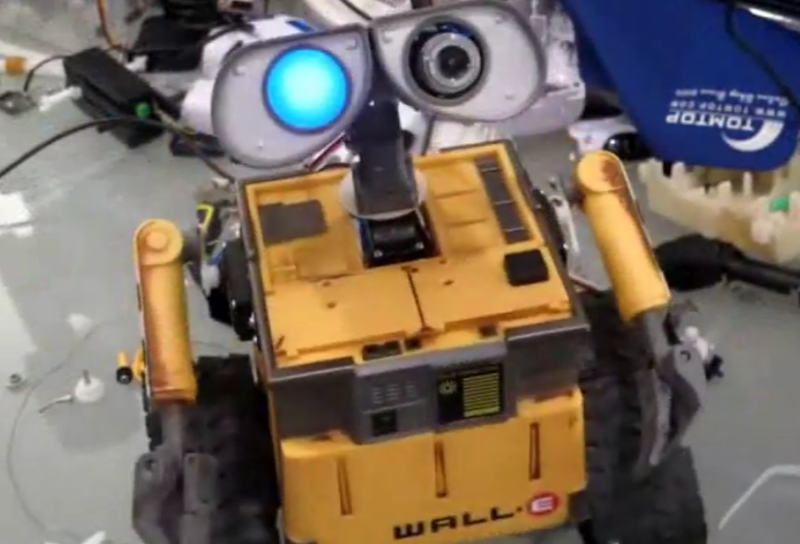 Adults may find more to appreciate—or, at least, different aspects to appreciate—in films like WALL-E or Up or Ratatouille and more. But each of those films are designed to appeal to children as much as to their parents. Sure, Dug the dog is a character most people fell in love with no matter their age; he is, however, something of a counterbalance to the painful, sad, and honest character arc that Carl Fredrickson has, achieving something in his twilight years he and his late wife never could. Pixar has not reached the storytelling nuance and depth of Ghibli films like Grave of the Fireflies or—from its description, at least, because the film hasn’t yet been released in the United States—The Wind Rises. Animation, as discussed here in the past, is not a genre, but a medium. The mainstream media often confuses the two, as in that infamously dumb article a few weeks back in which a writer for the Los Angeles Times wondered if Hollywood had released too many animated movies this year, thus explaining why fewer of them made an excess of money at the box office. This is a frequent source of frustration among animators, who often find themselves in the difficult position of explaining why their work should be considered by the layperson as being the same as live-action. Just as a live-action film can be in the science-fiction or action or romance genres, so too can animated films. Brad Bird, among many others, has often been vocal about emphasizing that the two media are just that, and not worthy of separating in any other way. “I do not love live action more than I love animation. I mean, both of them, to me, are film. They’re just different ways to do film,” he said in 2012 in an interview with The AV Club. He’s absolutely correct, of course. The problem, really, is that it’s rare for mainstream animation in the United States to tackle adult subjects as directly and blatantly as has happened at places like Studio Ghibli. Though it wasn’t directed by Miyazaki, the Studio Ghibli film Grave of the Fireflies is an excellent and harrowing example of what animation can do, and how it can be used as a medium to tell inherently mature, adult stories. (If the following does not convince you, let this be clear: although the main characters of Grave of the Fireflies are children, this is not a kids’ movie. Not in any way, shape or form. You have been warned.) 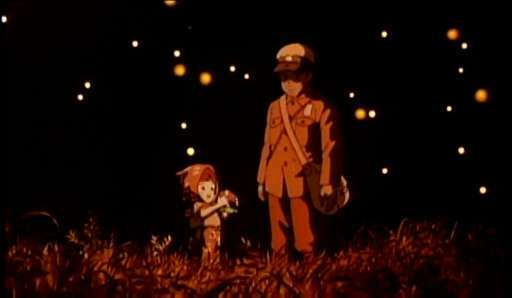 Set in 1945, Grave of the Fireflies focuses on Seita and Setsuko, siblings attempting to make their way through World War II in Kobe, Japan. As the opening scene, an in media res storytelling moment that works primarily because of its daring and heartbreaking imagery, depicts, the brother and sister weren’t able to survive well past the official end of the war. The rest of the film flashes back to show us the last few months of their lives, and how they never lost their determination to survive through a constantly vicious and painful hellscape of a world. Grave of the Fireflies is one of the best films about the worst that any war has enacted on humanity; as a World War II film, it’s up there with the very best. And it’s animated. Here is proof that the manner in which a film is made is less important than the content within. So where does Pixar fit into this? We know that Pixar honcho John Lasseter idolizes Miyazaki. Though we can be critical of the English-language dubs of some of Miyazaki’s films, it is worth noting that many of them would not get such a wide release if not for Lasseter’s tireless campaigning. The same goes for The Wind Rises, which does not sound as if it will be as intensely sad and emotional as Grave of the Fireflies. However, this new story, a biography of the man who designed some of the Japanese fighter planes used during World War II, clearly doesn’t sound like much of a family film in the way that Totoro or last year’s The Secret World of Arrietty are. (More to the point, the aforementioned Princess Mononoke, while featuring a fantastical setup and various creatures, is decidedly not a kids’ movie, having been rated PG-13 when released in the States.) And, just like Mononoke, The Wind Rises is being released in the United States through Walt Disney, though this film will be distributed under the Touchstone Pictures banner. Simply put, if you see most of Hayao Miyazaki’s movies in the United States, and do so legally, you are likely doing so because John Lasseter convinced Disney’s higher-ups to get the distribution rights. So, if Lasseter is, or was in the past, inspired by Miyazaki’s imaginative spirit and storytelling prowess, it may be time to see the latter man’s willingness to tell more adult stories through animation be mirrored by the former. People rightly compared Up to the work of Miyazaki—and the opening sequence of the film, often considered its best, may be a dialogue-free montage but it is far more adult than most of Pixar’s other films entirely—but there is no Pixar film absent of the deliberately child-friendly. (The word “pander” won’t come up here, but it can easily be used in reference to some of these examples, rightly or wrongly.) Dug the dog, Dory the blue Tang, WALL-E, Alfredo Linguine, and more: all of these are mostly well-loved characters in movies that otherwise are dominated and driven by a sense of increasing maturity. This is not meant to function as a criticism of the films in which those characters appear. In fact, Finding Nemo, Up, WALL-E, and Ratatouille are among Pixar’s best, possibly the best outside of the Toy Story franchise. Having said that, what John Lasseter should be allowing (and now that he’s essentially overseeing Disney’s animation wing as well as Pixar, he has this power) is an ability to offer diversity within animation storytelling. If Hayao Miyazaki can tell stories about woodland creatures who help two sisters cope with their ill mother, or about a girl who enters into a fantasy world housed in an abandoned theme park, or about a man who created machines used to kill without discretion, then why can’t the same wide scope be employed at Pixar? Miyazaki himself didn’t make every Ghibli film; this article isn’t meant to advocate Pixar’s immediate shift into adults-only filmmaking, but why not allow directors a bit more leeway in terms of what stories they want to tell, if not all the stories they want to tell? It isn’t difficult to imagine what the counterargument would be from Disney’s executives: yes, Pixar’s films can be inventive and mature, but because they are targeted as much to children as to adults, they make lots and lots of money. While it may be likely that a more family-oriented Pixar film would do better at the box office than a Pixar film targeted expressly at teenagers and young adults, this response also represents an unwillingness to be risky. This column has argued, time and time again, that Pixar must pursue risks. No doubt, some of their future films are risky in various ways. All of them, however, are family-centric. 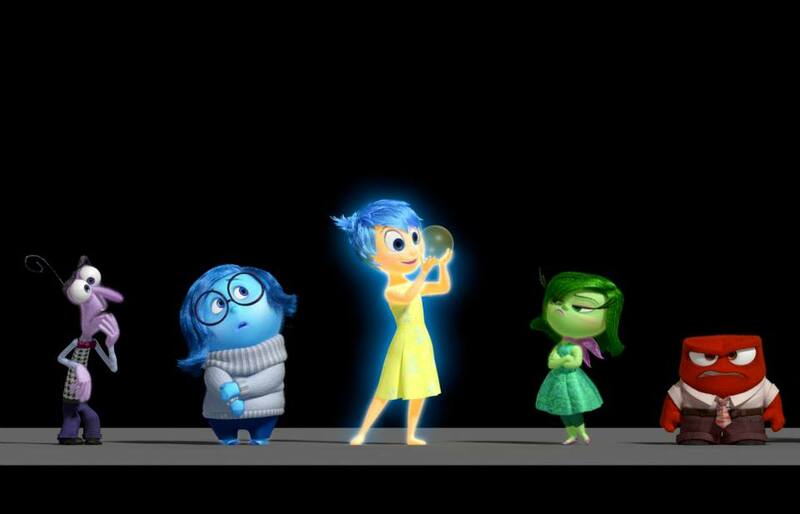 Inside Out may be the most challenging film Pixar has made, if the early speculation is any indication. It is also a movie that takes place inside the head of a child. Finding Dory will be plenty risky, but risky because harnessing lightning twice is mighty difficult, not because the concept itself is truly daring. Perhaps the long-awaited Dia de Los Muertos film from Lee Unkrich will be more adult in scope and content, perhaps not. However, now that Hayao Miyazaki will be stepping down as director at Studio Ghibli, the man who made that studio so respected and powerful, there will be a gaping hole in the world of animation. Miyazaki’s brand of boundless imagination, winning spirit, and honesty is unparalleled, even at Pixar. The animators and filmmakers in Emeryville don’t need to attempt to emulate Miyazaki’s style, mirror it in every way. 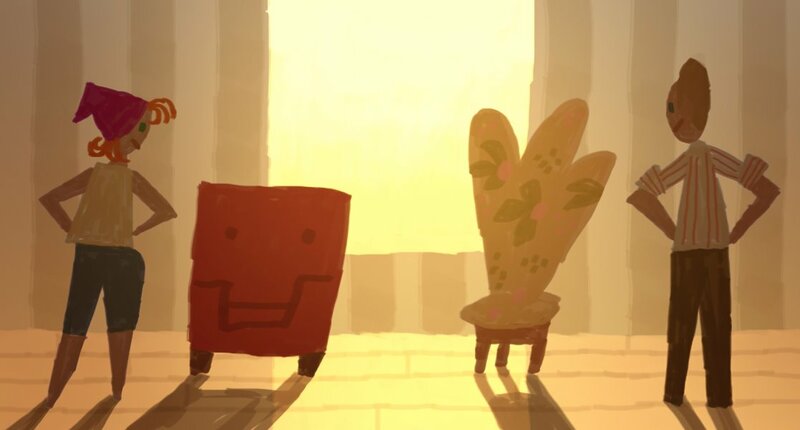 They can, however, run with his clear belief that animation can be used to tell any story for any audience, and take what may be the biggest leap of all: tell a story that’s more mature than what they’ve done before, a story that happens to be animated, not one that needed to be.